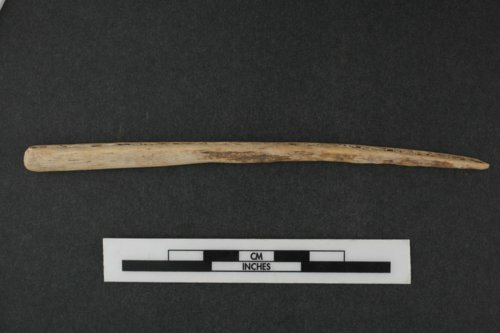 This awl was found at the Saxman village in Rice County and donated to the Kansas Historical Society in 2014. Awls such as this one are usually made from deer bone. They were used to make holes in soft material, like hides, and possibly in basket and pottery manufacturing.